Pre-workout supplementation is one of the most misunderstood supplements in the fitness industry. In this article I’m going to cut right to the chase. I’ll walk you through the most common ingredients in pre-workout drinks and what doses you need to check the labels for, in order to make sure you’re getting an effective hit. I’m then going to be reviewing Legion Athletics’ Pulse pre-workout, The Protein Works’ Nitro Works, Genetic Supplements’ Advantage Ultra, and Optimum Nutrition’s Gold Standard Pre-Workout. These are all products over personally used over the last couple of years and I’ll give you my frank and honest opinion of their effectiveness, value for money, and taste. For the vast majority of the population pre-workout drinks are seen as a means to ingest a boat-load of stimulants right before you train so that your ‘buzzing’ when you hit the gym. Search on Instagram for the hashtag #preworkout and you’ll see what I mean. But is that really the only thing a pre-workout is good for? If it is, why not just have a double espresso? The supplement industry will have you believe that their products will make you a raging beast in the gym. 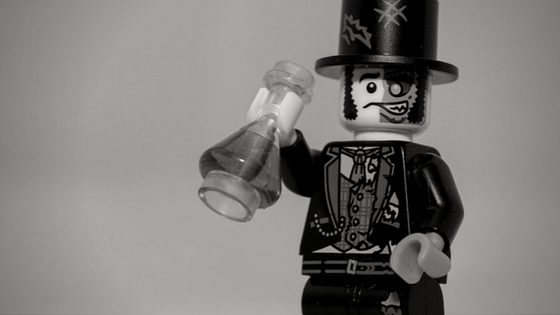 That 250ml of luminous coloured liquid will have you turning from a mild-mannered Dr. Jekyll in to Mr. Hyde. An uncontrollable beast that’s about to hit the gym in 30 minutes time. You’ll have a rush of energy, you’re veins will be popping out of your skin, and you’ll be smashing all of your PBs within minutes. But do they actually do anything for you? Let’s look into it a bit deeper. What is it? If you’re anything like me and long for that hit of coffee first thing on a Monday morning, then I’m sure you’re all familiar with the effects of caffeine. Caffeine is a stimulant that gives you that feeling of alertness. It certainly works for me and brings me into the land of the living in the mornings. Scientific studies have also proven caffeine is effective in supporting fat loss. What does it do in a pre-workout? Taken in the right dosages, it can support muscular endurance, reduce perceived muscle pain, aid fat loss, and increase mental focus. How much should you take for it to have any benefit? An effective dosage would be anywhere between 3 – 6mg per kg of body weight. Note that it’s recommended you don’t exceed 6mg per kg per day (including that morning coffee at work) and ideally you should have at least one day caffeine free per week. Also, be conscious of the caffeine content in any pre-workout if you train in the evening. Too much can effect your sleep quality, which will impact your rest and ultimately, your gains. An average male in the UK is about 83.6kg and the average woman is around 70.2kg. Therefore, as a general rule, look for a product with around c.250-350mg. You can obviously make adjustments throughout the day to suit your tolerance and preference. What is it? It’s a combination of an amino acid (citrulline) and malic acid, which the body turns into L-arginine. Arginine is a pre-cursor to Nitric Oxide, which ultimately promotes endurance and conditioning. You will find some pre-workout supplements use L-arginine as a specific ingredient rather than Citrulline Malate, which makes sense right? If the body turns it into L-arginine anyway, why not just supplement with the exact ingredient? The reason Citrulline Malate is preferable is due to the fact that it will provide an increase in L-arginine over a longer period of time. It also is less likely to give you the runs, which is possible with the alternative, so unless you want to risk a mid-squat brown trouser moment, stick with the citrulline. How much should you take for it to have any benefit? 6-8g. What is it? Beta alanine has become a popular pre-workout ingredient because of its relationship to carnosine. In the body, carnosine is a lactic acid buffer. Why’s that important? Well lactic acid is essentially a sign of muscle fatigue. So the longer you can keep it at bay, the better. What does it do in a pre-workout? Research shows that Beta Alanine can support reduced muscle fatigue through the increase in carnosine. This allows you to push that little bit harder, for longer in your workouts. That means the sets deeper into your workout will be more beneficial as you can push more reps and heavier weights. Beta Alanine will give most people a slight tingling sensation, but this is 100% normal and not harmful, so don’t worry. How much should you take? 3-6g. “Simon. What about [insert ingredient name]? Won’t that be good in a pre-workout too? There are, of course, a whole host of other ingredients that go into various pre-workout products, but to list them all would turn this article into a novel to rival War and Peace. The only other ingredient I’ll mention is creatine. Creatine is effective in building strength and power and is often taken prior to training. I’m a big advocate of creatine and recommend it to most clients, but recent studies have shown that supplementing with it post-workout rather than pre-workout could have more benefits. I talk about this in other articles and in my free ebook, so go check them out if you want more detail. Over the past couple of years I’ve been experimenting with various pre-workout products. I’ve reviewed 4 of these products below. I should say at this point that I am in no way affiliated with any of these companies and receive nothing from them for my recommendations. This is purely me giving you my open and honest opinions from my genuine experiences. I’ve been using Legion products throughout my last cut phase and Pulse has been the predominant pre-workout I’ve used in the process. I’m a big fan of the Legion brand and really like the company ethos and approach to supplementation. Just check out the information on their website and you can clearly see that they are transparent about everything they put in the product, and more importantly, why. What does it taste like? I tried all three flavours, Watermelon, Fruit Punch, and Green Apple. All tasted great (Watermelon was my personal favourite). The powder dissolved well, so there was no grainy texture to the drink. How effective was it? I definitely felt the beta-alanine tingles kick in after about 30 minutes and a rush of alertness. Having used pre-workouts for a number of years, it’s often difficult to feel a noticeable effect day-to-day. With Pulse I have to say that I could feel a difference after taking it and that translated into my workouts. I’m not one for chasing the ‘gym pump’, but I have to say that the pump was great. And when you’re training biceps in front of the mirror that feeling can be the added motivation you need for that one extra rep.
What does it cost? When I originally bought the product I got 3 tubs for around $108 (+ shipping and import taxes). At the time, it was only available directly from the USA, so it was a little expensive. However, I have to say it was worth the little bit extra to be safe in the knowledge that the product was truly effective. Luckily it’s now available through Amazon UK, so the cost is £40 per tub (free delivery with Amazon Prime). So that’s about £1.92 per serving, which isn’t cheap, but would you prefer to buy something cheaper that has reduced or no benefit? The Protein Works are a relatively new company in the supplement industry, founded in 2012 and have grown their brand significantly since launch. They have a reputation for innovation and bringing new products to market as well as their own twist on standard bodybuilding / fitness products. I’ ve used their protein isolate for a number of years and found it to be really good. They also have a wide product range in the aim to cater for all sorts of goals. This is what prompted me to give Nitro Works a try. What’s in it? Nitro Works contains caffeine in the form of Guarana & Yerba Mate Malate. It also contains Citrulline Malate and Beta Alanine, but there is no reference on the website as to how much of each ingredient you get in each serving. I found this a little disappointing and not totally transparent. What does it taste like? The Orange Burst flavour was slightly bitter, but still drinkable without dreading every mouthful. The powder dissolved well, so there was no bad grainy texture to the drink, much like the Legion product. How effective was it? I found the effects of the product to be a bit hit and miss. There were none of the Beta-Alanine tingles that I got from the Pulse product, which suggested to me that the dosages were significantly different (although I can’t confirm that). Some days I would feel a more awake than others, but that may have had nothing to do with the drink. Overall, I didn’t feel much difference between taking the drink and not. The Protein Works have a number of other products and have released a new product called ‘PRE-WORKS’ since I last tried Nitro Works. This new product appears to have some good ingredients, but I have been reluctant to try it as the quantities of the ingredients are still not published. What does it cost? Available through The Protein Works website directly, for £15.99 (250g). That lasts for 25 services, so roughly 5-6 weeks of supply. At 64p per serving it’s pretty low cost, but actually not that effective, so for me it doesn’t represent value for money. Genetic Supplements are not the most well-known supplement manufacturer on the market, launched in 2010. They are a UK based company that have a keen focus on using scientific research to formulate their products. All ingredients are WADA checked, so those competitive athletes out there can rest-assured knowing that there’s no dodgy ingredients making their way into your body. As well as their pre-workout product, I also bought their sleep aid ‘5-HTP Elite Sleep’, which was fantastic. I had a 20% increase in my sleep quality each time I took some before bed. What’s in it? Advantage-Ultra contains the three key ingredients I’ve mentioned before and the caffeine content is slap bang in the middle of the ideal range. The other two ingredients are under the quantities I’ve seen used in clinical studies, which may impact their effectiveness in some people. The Beta-Alanine is a fraction under the low-end of the ideal range, which explained why I could sometimes still feel some of that tingling sensation on the drive to the gym every morning. What does it taste like? I opted for the Cola flavour and although it had some semblance on Cola flavour, when it was mixed with water it wasn’t that recognisable. The main issue I had with the drink was the grainy texture. I tried mixing the drink in a variety of different ways, but could never get the drink to mix at all. This made it difficult to drink each morning. In fairness to Genetic Supplements they said they hadn’t had this experience before and would send me a free replacement, so I will wait to see if that is the same. How effective was it? I actually thought the product was reasonably effective, despite it not being the most pleasant drink in the world. I certainly got a feeling of alertness after taking it, which to me suggested that the caffeine dosage was about right for me. It’s worth noting that there is a caffeine free version, which is really advantageous if your training at night, or you want to have more control over your caffeine intake. I felt that the product had some effect, but didn’t match up to Pulse. What does it cost? Available through the Genetic Supplement website directly, for £24.99 (400g). That lasts for 20 servings, so roughly 4 weeks of supply. At £1.25 per serving it’s in the mid-range price level. Optimum Nutrition are one of the giants of the supplement industry. Their Gold Standard 100% Whey protein is the world’s best-selling protein powder. They sell product in over 70 countries worldwide, and are a go-to brand for thousands of people. So one would expect their pre-workout product to be the cream of the crop. What’s in it? Gold Standard Pre-Workout contains the three key ingredients, but quite frankly the amounts of each ingredient are way way under the clinically effective dosages. On face value, it look as though the product has all the right ingredients and it should be a great pre-workout, but in my honest opinion, it isn’t. What does it taste like? This is the one area I can’t fault. The product mixed really well and tasted great. In fact it tasted so good, I felt like drinking it throughout the day. It turns out I probably could’ve done considering how little effect it had. How effective was it? There’s really not much to say here other than there was no effect at all! It just turned out to be a nice tasting drink in the morning. The only minor positive thing I could say would be that the low caffeine levels means that if you train in the evenings, it won’t make you feel wired before you go to bed. What does it cost? Available through many websites and supplement stores it retails for around £17.99 (330g), if you do a quick search on Google. That lasts for 30 servings, at 60p per serving it’s in the cheapest of those I tried, but I’d steer clear at all costs. Getting the most out of your training isn’t just about pre-workout. There’s much more to it than that! If you haven’t yet got your hands on an awesome new training and nutrition programme from Iron Paradise Fitness then click here to find out all about the Aesthetics Through Strength programme I’ve developed through years of knowledge and experience. You’ll see what it’s done for me and my clients. And you’ll also see what it can do for you. If your nutrition plan is either non-existant or consists of bland and boring meals. Then you’ll be pleasantly surprised by how delicious and nutritious my plans are.